Philadelphia Lone Star to face Reading United in U.S. Open Cup | Philadelphia Lone Star F.C. 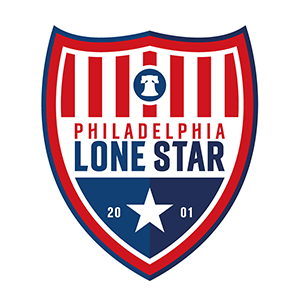 Philadelphia Lone Star F.C. will battle Reading United A.C. in the first round of the 2019 Lamar Hunt U.S. Open Cup as announced by the U.S. Soccer Federation this afternoon. The Stars will take on United at the Alvernia University Stadium in Reading, PA on Wednesday, May 8th at 7:00pm. Philadelphia Lone Star FC will be making its second appearance in three years while Reading United will be returning for their 13th Open Cup appearance. The First Round will commence May 7-8 and consist of six Division III (USL League One) pro clubs and 32 Open Division teams (USL League Two, National Premier Soccer League [NPSL], local qualifiers) in head-to-head, single-elimination competition. Two of the 19 matches are between teams from the same qualifying pool under a First Round provision that allows avoidance of extensive travel at this stage of the tournament. May 7 FC Baltimore (NPSL) vs. West Chester Predators (Pa.) 7 p.m. ET Homewood Field (Johns Hopkins Univ. ); Baltimore, Md. May 7 Richmond Kickers (USLL1) vs. Virginia United (Va.) 7 p.m. ET City Stadium; Richmond, Va.
May 7 New York Cosmos B (NPSL) vs. Black Rock FC (USLL2) 7:30 p.m. ET Rocco B. Commisso Soccer Stadium (Columbia Univ. ); New York, N.Y.
May 7 New York Red Bulls U23 (USLL2) vs. FC Motown (NPSL) 7:30 p.m. ET New York Red Bulls Training Facility; East Hanover, N.J.
May 8 Erie Commodores FC (NPSL) vs. Dayton Dutch Lions (USLL2) 7 p.m. ET McConnell Family Stadium (Gannon University); Erie, Pa.
May 8 Lansing Ignite FC (USLL1) vs. AFC Ann Arbor (NPSL) 7 p.m. ET Cooley Law School Stadium; Lansing, Mich.
May 8 Reading United AC (USLL2) vs. Philadelphia Lone Star FC (NPSL) 7 p.m. ET Alvernia University Stadium; Reading, Pa.